As you are most likely aware, Yvonne Craig, the actress who originated the roles of Barbara Gordon and Batgirl in the 1966 Batman TV series, passed away last week after a fight with cancer. In light of this sad milestone, it would seem apt for scans_daily to join other fans around the world in mourning her loss, but also to celebrate the character she breathed life into, and set the standard for for decades to come. 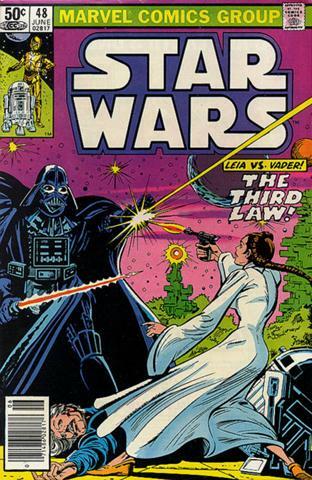 I actually posted this last month as part of my Favourite Creator post on Larry Hama, but since that post was super long and there was a lot going on, and lastly cause we seem to be reflecting on Star Wars comic history, I thought I'd repost the story of the Third Law. 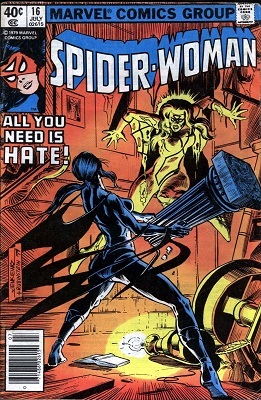 This was one of the stories from Marvel that got ascended to a slightly higher level of canon, with additional fleshing out by Wizards of the Coast, and I think it's a goody. 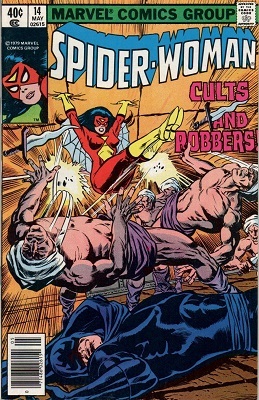 So Jessica Drew has been getting some bad press as of late, so as one of her biggest fans it lies to me to to share some of her exploits of yore. 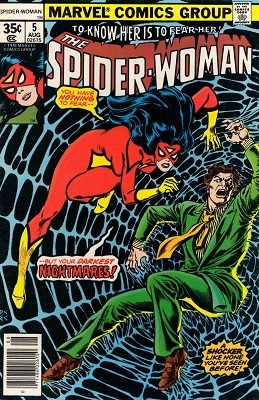 So as Halloween approaches I think I'll share some early issues of Spider Woman, when the comic had the catchphrase "To Know Her is to Fear Her," and focused a lot on supernatural, and horror elements (Really Hydra was only a small part of her backstory at this point). 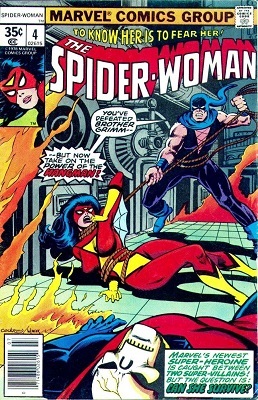 Thing's are starting to go pretty well for Jessica at this point, for the first time since she left the High Evolutionary's Mountain stronghold of Wundagore she's found someone to love, Jerry Hunt, and things are looking up for her... So why then is she willing to die for a stranger? Now it's true that some comic villains are magnificent constructions, with impresssive powers, finely crafted personalities and motivations that allow for a rich variety of plots. But let's be honest here, not every villain is that fortunate. They may all have grains of genius in their creation, and no villain is without the possibility of being redeemed (or the exact opposite, if you see what I mean) by the right writer. Consider The Shade, a rather generic shadowcaster before James Robinson got his hands on him. And it is of such lower rate villains we are dealing with here. 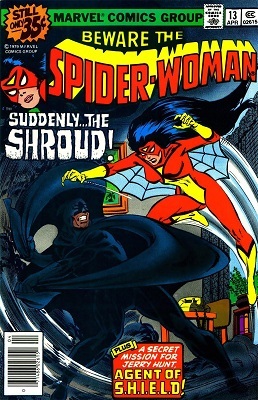 Various sources have confirmed that legendary Comic Book Creator Carmine Infantino has passed away. Thank you for everything, Mr. Infantino. Comic books were richer because of you. 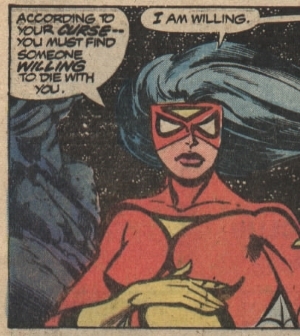 Possibly my all-time favorite comics panel. Barry Allen, the Flash, is widely held to have had the best ever death for a comic character. He died saving the universe in Crisis on Infinite Earths and afterward became a legendary figure in the DC Universe. 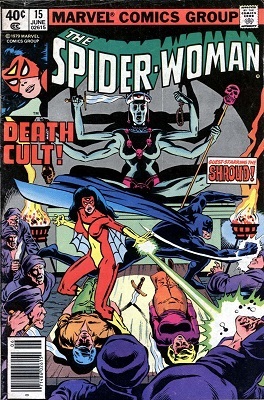 His death was revisited a number of times by DC writers over the years before he was finally brought back to life. I'd like to share a couple of these stories, showing Barry's last moments from his point of view.